It's so hard la omg especially when your bf's mom is a huge dessert & ice cream lover like you do. And when she suggests going to haagen daz for ice cream at 11pm. How can I say no? Oh and it wasn't my decision to go for the hugeeee family fondue platter either. With 16 scoops of ice cream, lots of cheesecake, brownies, cookies, chocolate rolls and what not. Oh and not forgetting that rich and smooth chocolate ganache for you to dip EVERYTHING in. ANYWAYYYYY GUYS! If you missed my previous flea held last weekend, don't worry because this time i'm holding a brand new flea again!!!! This time, i will be tending the booth with my bestfriend and boyfriend the WHOLE day so for those who tried to catch me the other time but couldn't (sorry i had to rush off), do come down this sat ok? I actually purposely saved some clothes for you guys for this flea! This time, i'm going to be selling the cheaper clothes at awesomely cheap prices! There will be a luggage with clothes that are going for $2 (not kidding). Also, a rack selling all my brand new (I call those I wore for 10 mins only brand new k) clothes! Ruby rouge will also be featuring some of their clothes over there at my booth so do check them out, prices are gonna be SLASHES like mad for everything! If you guys dont like my face, come and look at other pretty girls too!!! 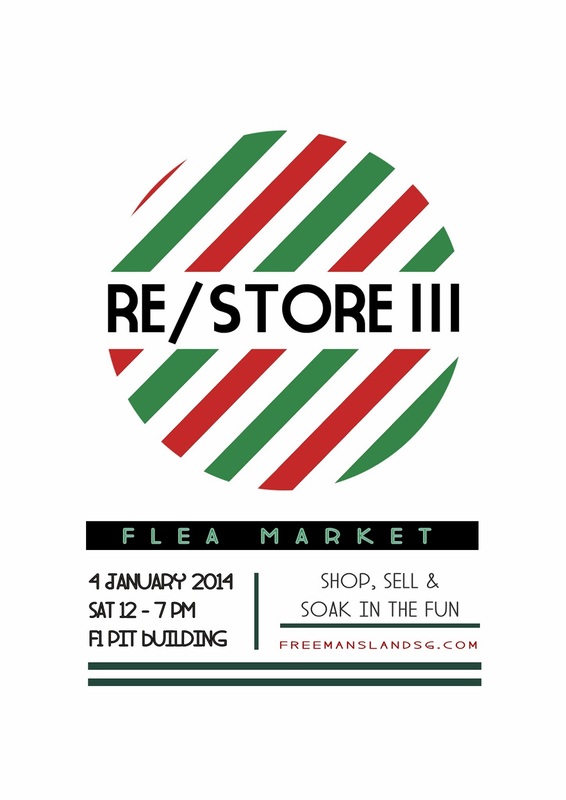 Restore 3 also features other famous bloggers that will be selling their stuff at the flea so if you want to catch a glimpse of them, do come! All must go! So come with empty bags and a big fat wallet. Let's start the new year with a bang for more new clothes!!! !